Your small Donation is much appreciated! Republic of Kiribati is sovereign state in Micronesia and consist 32 atolls and reef islands. Kiribati have over 115 000 people polulation. 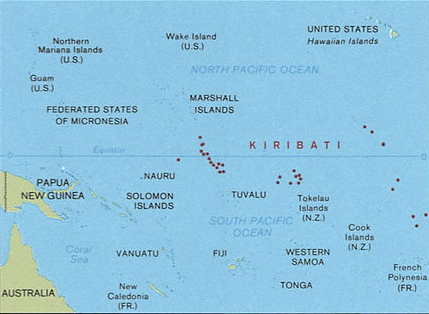 The radio amateurs know the different teritories of Kiribati as Western Kiribati (T30), Eastern Kiribati (T32), Central Kiribati (T31) and Banaba (T33). Tarawa is an atoll from Western Kiribati (T30). This atoll has 500 square km lagoon. 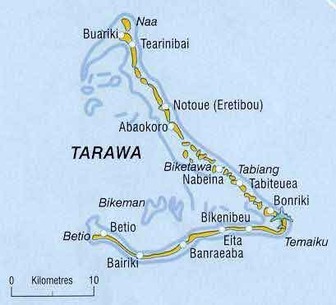 Tarawa is home to more of half from the total population of Kiribati. With the Spiderbeam products - all your dreams for good signal is comes true !! !